Services are provided by our advisors for those students who plan to attend more than one post-secondary institution in order to complete your college degree. You are encouraged to start this process early and plan ahead, which can make this a smoother transition. 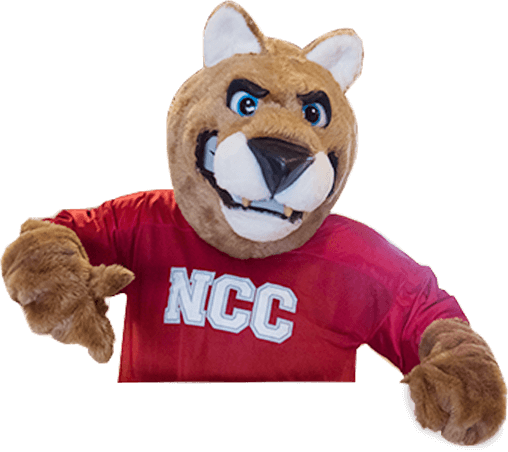 See NCC’s website to review the articulation agreements that NCC has with other institutions. A person who has been admitted to Northwest Iowa Community College shall be classified as a resident or as a non-resident for admission, tuition, and fee purposes. A person classified as a resident shall pay resident tuition costs. A person classified as a non-resident shall pay non-resident tuition costs. Tuition for non-residents should not be less than the marginal cost of instruction of a student attending Northwest Iowa Community College. Iowa Code section 260C.14 (2). Persons who register for non-credit continuing education courses shall be charged course fees determined on course costs and by market demand. In determining resident or non-resident classification, the primary determination is the reason a person is in the state of Iowa. The second determination will be the length of time a person has resided in Iowa. If a person is in the state primarily for educational purposes, that person will be considered a non-resident. The burden of establishing the reason a person is in Iowa for other than educational purposes rests with the student. The Registrar may require written documents, affidavits, or other related evidence deemed necessary to determine why a student is in Iowa. The burden of proof is upon the student. A student will be required to file at least two documents to determine his/her residency status. No two documents may come from the same source. The following are examples of acceptable documentation. Written and notarized documentation from an employer that the student is employed in Iowa or a signed and notarized statement from the student describing employment and sources of support. Iowa state income tax return. An Iowa vehicle registration card. Proof of Iowa Homestead credit on property taxes. In all events, to be determined a resident of Iowa, the individual must document residing in the state of Iowa for at least 90 days prior to the beginning of the term for which he/she is enrolling. If a student gives misleading or incorrect information for the purpose of evading payment of non-resident fees, he or she must pay the non-resident fees for each term the student was not officially classified as a non-resident. These regulations shall be administered by the Registrar. Resident and non-resident tuition rates shall be printed and available in the College Catalog or other major College publications. A person who is a resident of an Iowa sister state may be classified as a resident or nonresident, per rules adopted by the college’s board of directors. The domicile of a minor shall follow that of the parent with whom the minor resides except where emancipation of said minor can be proven. The word “parent” herein used shall include legal guardian or others in cases where the lawful custody of a minor has been awarded to persons other than actual parents. A minor living with a resident of Iowa who is legally responsible for the minor shall be granted resident status if the minor has lived with the Iowa resident for at least 90 days immediately prior to enrollment. The residency status of an emancipated minor shall be based upon the same qualifications established for a person having attained majority. A person who is a refugee or who is granted asylum by an appropriate agency of the United States must provide proof of certification of refugee or asylum guarantee status. A person may be accorded resident status for admission and tuition purposes when the person comes directly, or within a reasonable time, to the state of Iowa from a refugee facility or port of debarkation and has not established domicile in another state. A person who has immigrant status, and his or her spouse or dependents, may establish Iowa residency in the same manner as a United States citizen. A person who has non-immigrant status and who holds a non-student visa, and his or her spouse or dependents, may establish residency in the same manner as a United States citizen. A person who has non-immigrant status and whose primary purpose for being in Iowa is educational is classified as non-resident. A “student visa” is prima facie evidence of non-residency, i.e., in a rare case, a student holding the visa could overcome the presumption of non-residency. A person and his/her spouse who has moved into the state of Iowa as the result of military or civil orders from the federal government, and the minor children of such persons, are entitled to immediate Iowa residency status. The veterans has separated from a U.S. military force with an honorable discharge or a general discharge, is eligible for benefits, or has exhausted benefits, under the federal Post-9/11 Veterans Educational Assistance Act of 2008 or any other federal authorizing veteran educational benefits program. It is the responsibility of a student to request a reclassification of residency status. If a student is reclassified as a resident for tuition purposes, such classification shall be effective beginning with the next term for which the student enrolls. In no case shall reclassification to residency status be made retroactive for tuition and fee purposes, even though the student could have previously qualified for residency status had the student applied. The decision on the residency status of a student for admission, tuition, and fee purposes may be appealed to a review committee established by Northwest Iowa Community College. The findings of the review committee may be appealed to the NCC Board of Trustees, whose decision shall be a final administrative decision. After you have been accepted for admission to NCC, you must register for course(s) and pay tuition and fees prior to the start of the term. Your academic advisor will assist you with the registration process and guiding you in registering for the appropriate courses; however, the final decision on course registration is your responsibility. All registration forms need to be signed off by an advisor before you can be officially registered. The above Refund Schedule is applicable only to regular semester enrollment periods. A similar pro-rated Refund Schedule will be applied to courses with different enrollment periods (i.e. FasTrack courses, online courses, 8 week courses, etc.). Refund procedures, percentages, and amounts may differ for students receiving financial aid. The refund for students receiving financial aid will be according to the guidelines set by the United States Department of Education. Refer to the Return of Title IV Aid—Financial Aid Refund Policy for more specific information. Refunds of tuition and fees are calculated as of the date recorded by the Registrar after the “Withdrawal Form” is returned to the Student Services Office, or the date that the student otherwise provides official notification to NCC of their intent to withdraw. *Some fees may be non-refundable. If you wish to add a course to your schedule after the first class session, you must have the approval of the instructor, Academic Dean, and Registrar. When you receive approval, a “Drop/Add Form” must be completed and returned to the Registrar’s Office before the change becomes official. The “Drop/Add Form” may be obtained in the Registrar’s Office. The “Drop/Add Form” may be obtained in the Registrar’s Office. The form must be signed by the instructor, advisor, financial aid representative, and Registrar. The day the completed form is returned to the Registrar’s Office will be the “Official Withdraw Date.” Withdrawal dates for 2018–2019 can be found on MY PLACE. Required courses failed in a career and technical education program must be retaken before graduation. Students are encouraged to speak to the Registrar to make arrangements for retaking courses. If you want to do a complete withdrawal from NCC for any reason, you must obtain a “Complete Withdrawal Form” from the Registrar’s Office. The withdrawal is not effective until the “Withdrawal Form” is returned to the Student Services Office. If documentation is received indicating the student’s last day of attendance is different than the date the student officially withdrew, the student’s last day of attendance may be recorded as the withdrawal date and used to calculate the refund of tuition and fees. Students who stop attending and fail to follow the withdrawal process are considered to have unofficially withdrawn and the student’s last day of attendance may be used to determine the refund calculation.